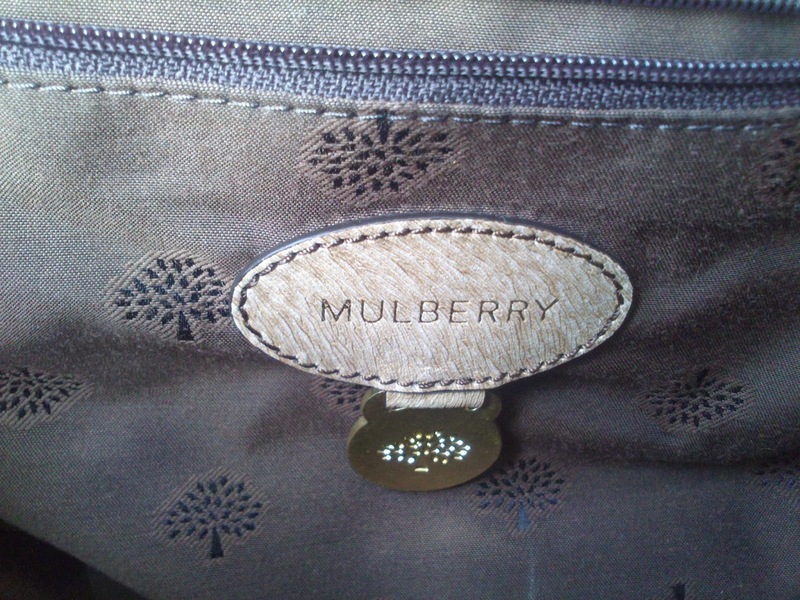 Okay, you probably all think I've won the lottery, and I can't even believe it myself, but I've bought another Mulberry! 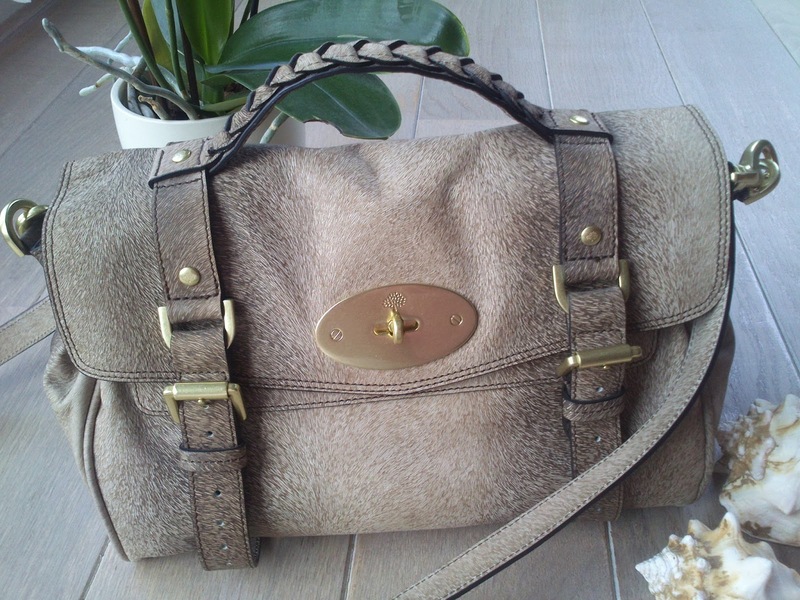 I know I've just purchased the Mulberry Bayswater Satchel around two months ago, but I couldn't leave this baby in store. For the record, sadly I haven't won the lottery. 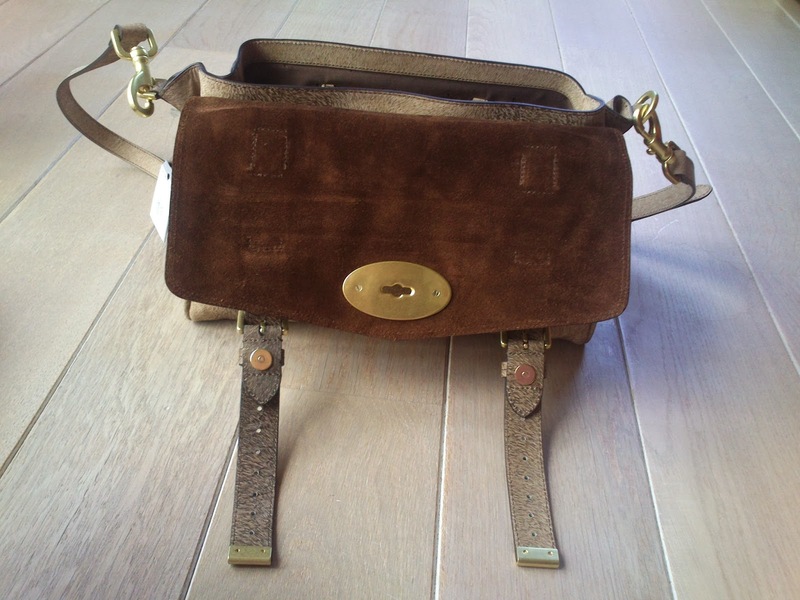 I went to a store in Bruges, called Domenique Meire, where I knew they sold Mulberry. 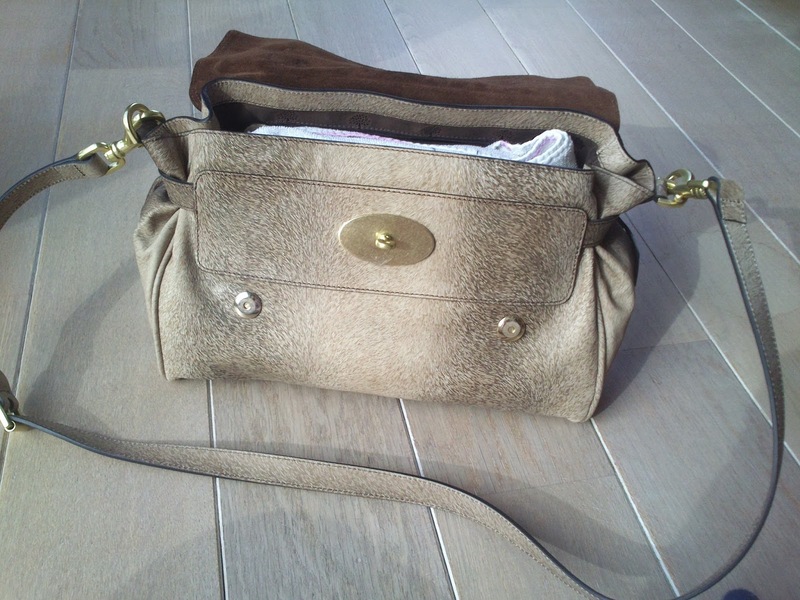 I was looking for the dome rivet continental wallet but they didn't stock that, meanwhile I saw a little 'sale' rack with Mulberry bags at the end of the store. And it was love at first sight! 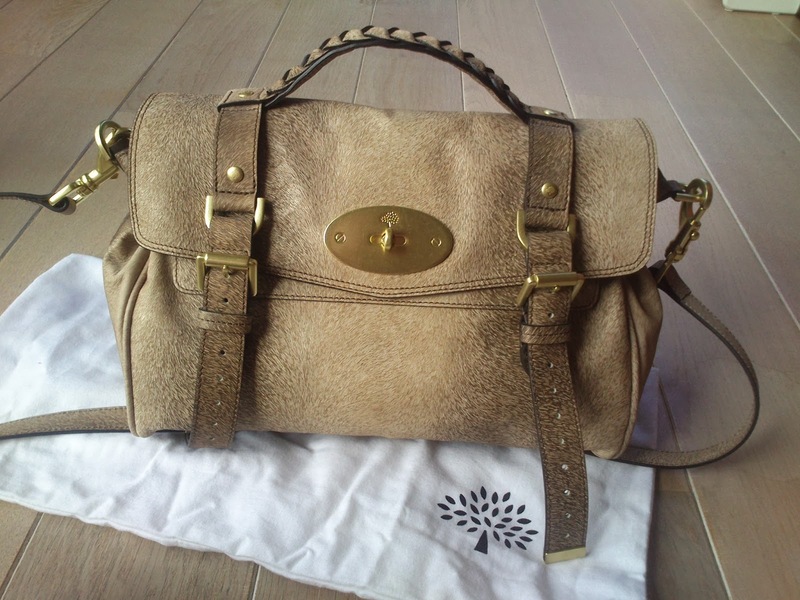 A gorgeous Mulberry Alexa for less than half price! I took a look at it, but than said no to myself! 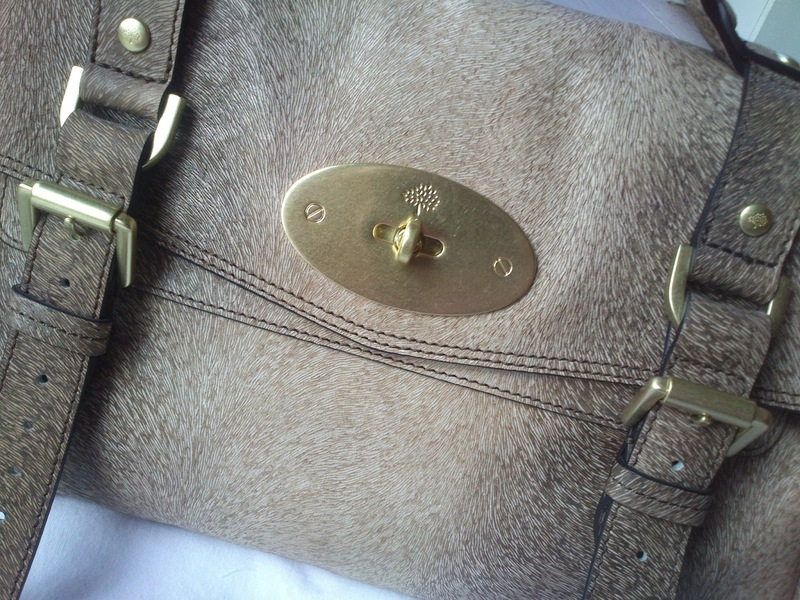 How could I justify purchasing two Mulberry handbags in 2 months? So I walked away with pain in my heart. 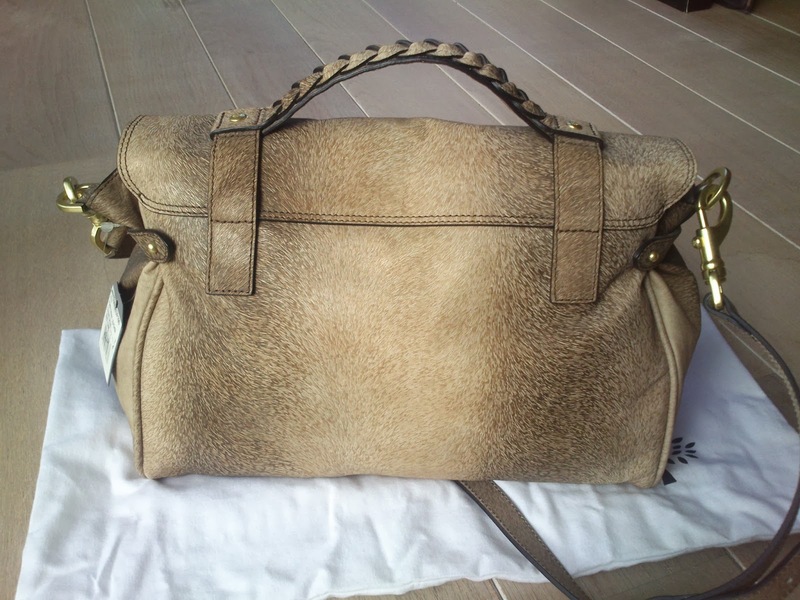 A week later I was still thinking about the bag, and what a 'bargain' it is. You'll never find a half priced bag on their official site! So I went back and bought it! I have to admit to you girls that I'm totally not rich and that I'll have to save half of my working money every months till July to pay myself back, since I've borrowed the money from my own bank account, but hey, it was totally worth it. I do want to make clear I still save half of my working money every months for my 'future' life! I think it's very important if you like designer or just even shopping in general, that you still save a certain amount for the future. Because spending every cent is just not the way to go. I don't know exactly which size it is, but I guess it's the regular 'medium' size. 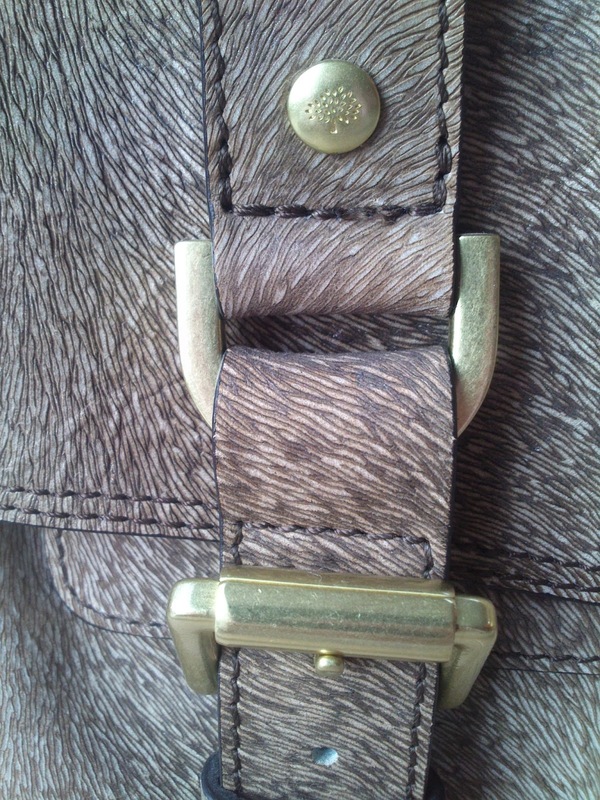 It has a gorgeous 'fur-y' look, but their is actually no fur going on, it's all in the leather, if you take a closer look, you can even see subtle sparkle in the leather (which you can see in the third picture below). This certain print is 'limited edition' according to the sale assistant. 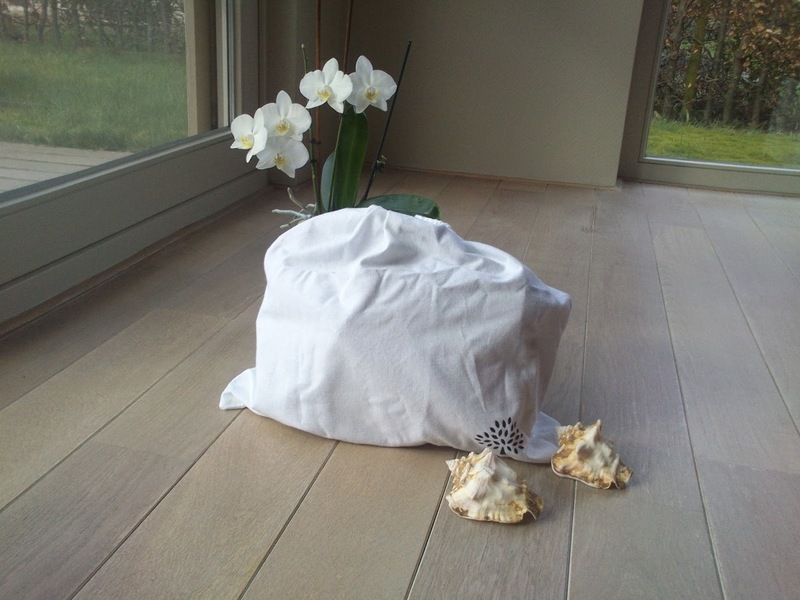 The bag comes with a shoulder stap which I'll probably use most of the time. 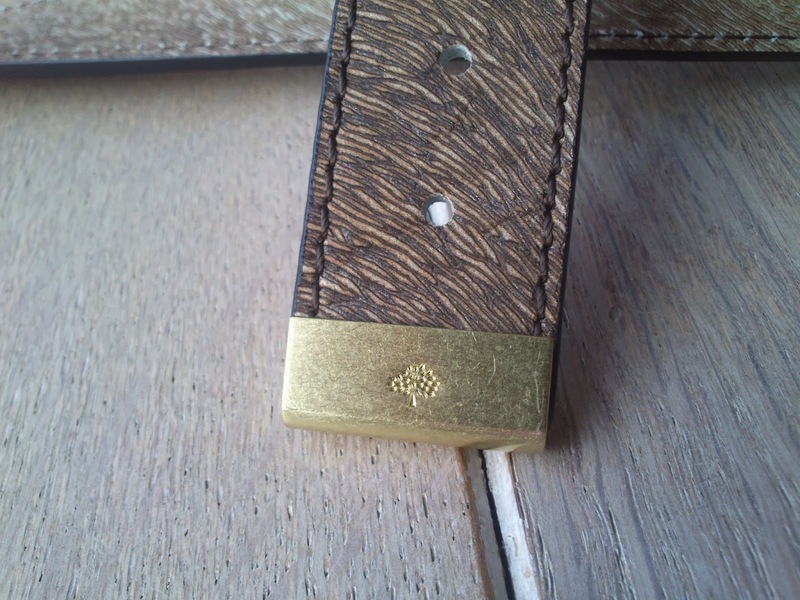 You can also carry it with the top handle, I do think it'll be hard to carry it in the crook of your arm since the top handle is quite small. 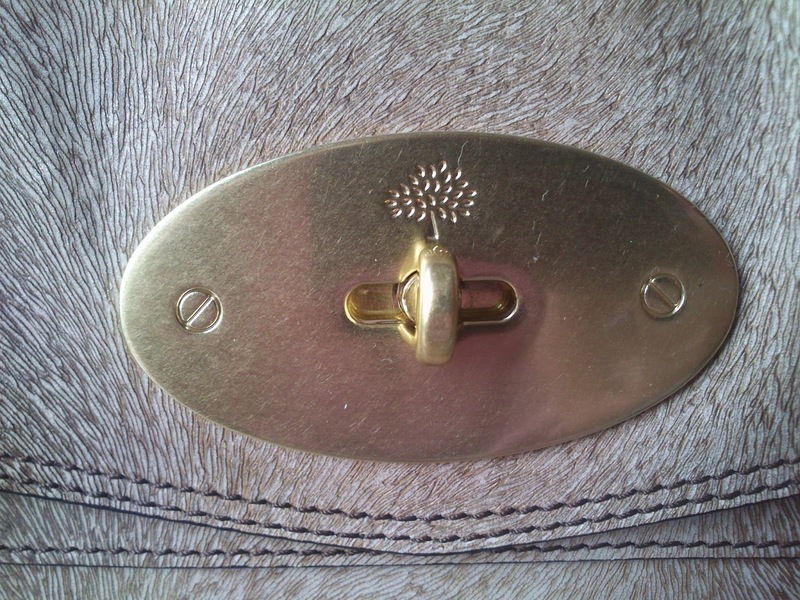 And as you can see the Mulberry logo has been stamped in a lot of the hardware. 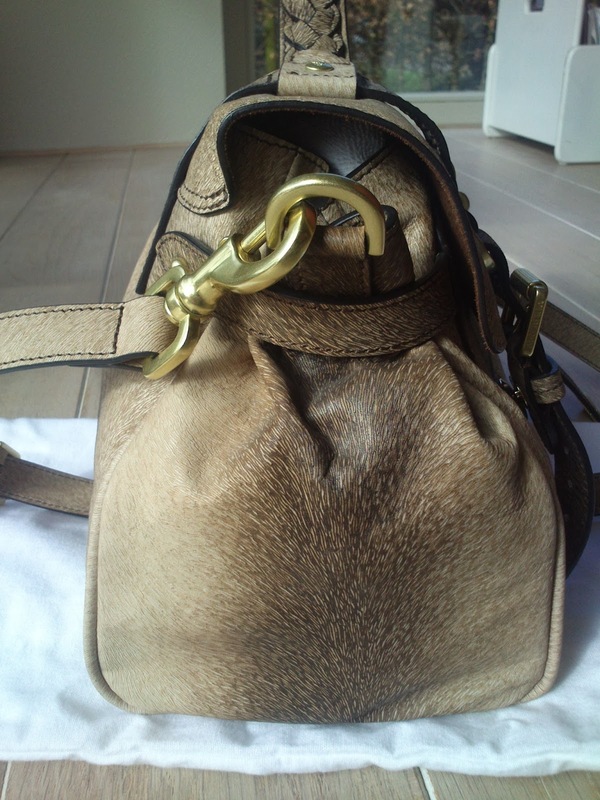 As you can see the bag closes with the postman's lock and two clasps. 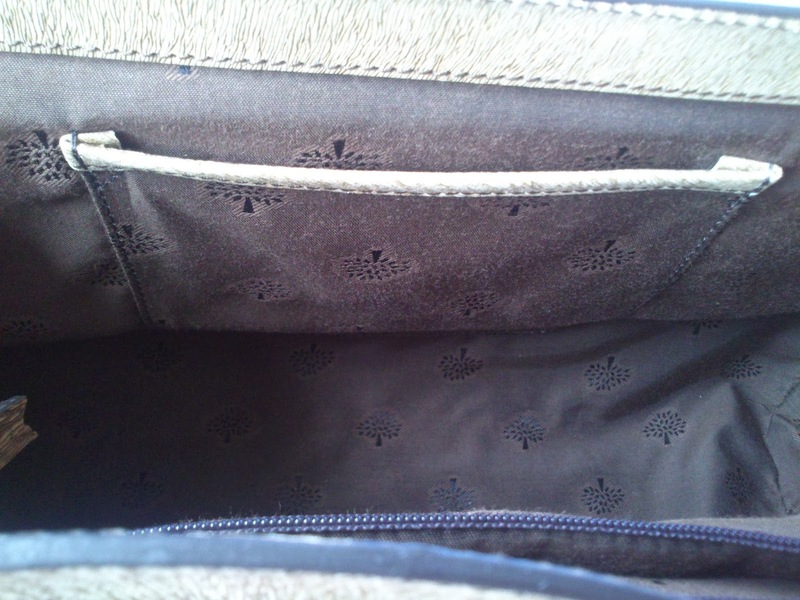 The interior is lined and the bag has two inside pockets, you have the main compartment, a zipper pocket and a little 'phone' pocket (picture above). This bag is bigger than my Bayswater satchel so more like an everyday kind of bag, you can fit an umbrella, water bottle, small makeup bag etc. The last two pictures make the bag look a bit more yellow, but the pictures before that are a perfect resemblance of what the bag looks like! 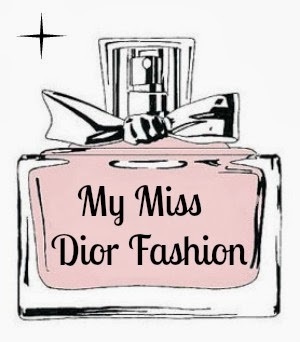 I absolutely adore this bag and will use it a lot! If I've used it for a couple of months I'll do a review on it telling you what I like and don't like about it. 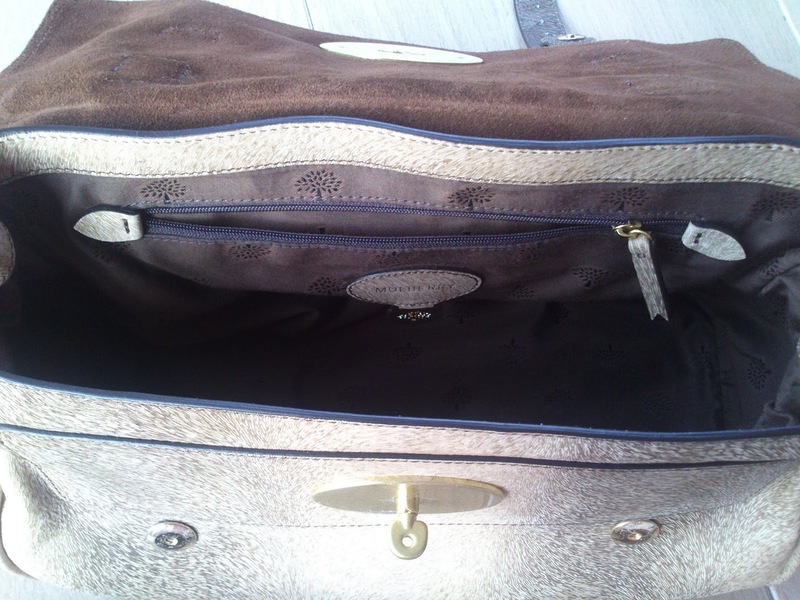 The sales assistant already told me this particular leather is very durable and doesn't need a lot of treatment in contrast with my bayswater satchel which is very vulnerable and needs a lot of care. Thank you so much for reading, any questions? Feel free to comment or email me. Please follow if you liked it. No more bad food | Are you in?